Mammadaba - Enjoy the Skyways of Lucky Land! Enjoy the Skyways of Lucky Land! 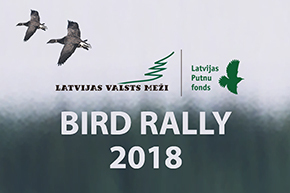 One of the most popular family recreation areas in Latvia – JSC "Latvian State Forests's" Tervete Nature Park, will hold the opening ceremony for "Laimīgās zemes Gaisa takas" (Skyways of Lucky Land) at this Saturday, May 9. The skyway , made of rope and wood, is 8-10 meters above the ground. Visitors young and old are invited to put themselves in the role of Sprīdītis, a fairytale character created by the famous Latvian writer Anna Brigadere. As this pintsize hero, enter an exciting journey through the Skyways of Lucky Land. You will face the same adventures Sprīdītis experienced – meeting with Mother of the Forest, encounter with the formidable Giant Lutausis, battle with the Devil, and other thrilling confrontaations. The event is intended for pre-school and school-age children, and youth, however, grown-ups are also encouraged to take part, as our slogan says "Anyone Can Do It!" Entrance fee in "Laimīgās zemes Gaisa takas" (Skyways of Lucky Land) is not included in Tērvete Nature Park entrance ticket! See you in Tērvete Nature Park! Who redesigned nest house entrance hole of flying squirrel? Greetings in the International Day of Forests!